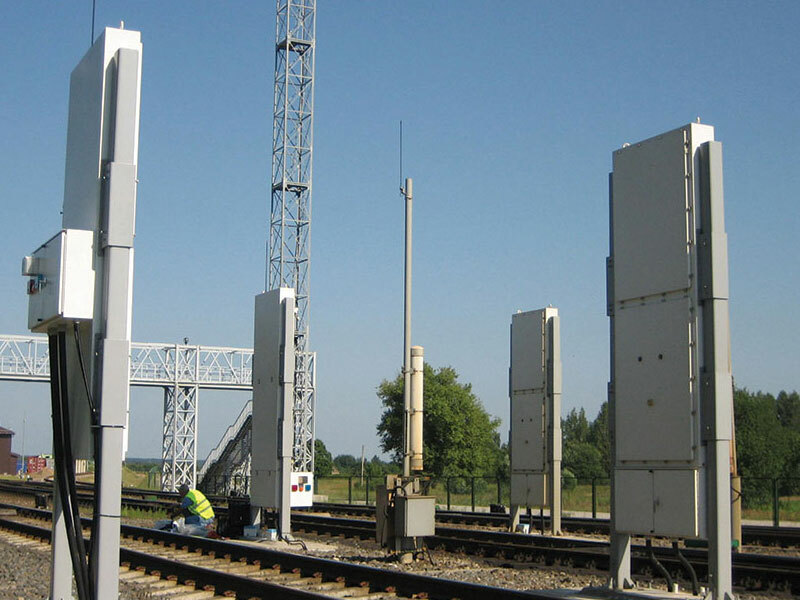 Portal monitor for radiation inspection of large vehicles and trains, especially with dense cargo. It is ideal for screening vehicles at border crossings, seaports, airports, critical infrastructure and nuclear facilities. Vehicles are automatically inspected as they drive between the pillars of the monitor. The TSA TM850 is a standalone device with all the features and capabilities required for effective radiation inspection. The two pillars of the TSA TM850 are separated by more than 4.5m. They house the radiation detectors and electronics, including the system controller and occupancy sensors. Operating parameters are easily input with the touchpad on the controller. A rechargeable backup battery supports 8 hours of operation if the main AC power fails. A light indicates a tamper or fault condition. The TSA TM850 continuously measures the background radiation and signals background fault conditions. When the occupancy sensors detect an object of interest approaching the monitor, it automatically switches to inspection mode. Radiation alarms are signaled with a flashing light and loud audible device. The IP65 rating enables operation in a wide range of environments. The TSA TM850 is available with PVT gamma radiation detectors and optional B10, Li6 or He-3 neutron detectors, and sodium iodide detectors. Radiation detection performance meets the requirements of ANSI N42.35 and IEC 62244. The TSA TM850 is designed to detect SNM, including HEU and Pu-239. Optional radionuclide identification capability using an array of detector materials including NaI, CsI, LaBr, HPGe is available. The TSA TM850 is compatible with Rapiscan® Systems remote oversight devices, which enable the radiation inspection operation to be overseen from a remote facility. The TSA AM270 local alarm box signals alarms in a nearby guard booth. The KCLOE™ digital oversight system store and display inspection data and CCTV images obtained via a wired or wireless network.